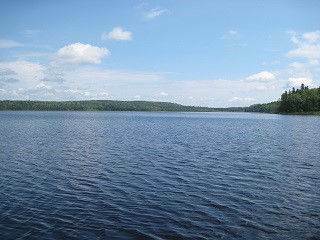 Enjoy the Beauty of Botsford Lake! Open Concept Log Cabin with Extended Roof over 8' x 20' Deck offers a Peaceful Retreat just a Short Boat Ride from the Sturgeon River Boat Launch! Annual LUP fee of $678.00.